As the weather gets colder, and we spend more time inside, our thoughts turn to making our homes more snug. The new La Porte Blanche Homeware Collection – available exclusively from Mocha in the UK – is perfect for adding some of that cosiness factor. 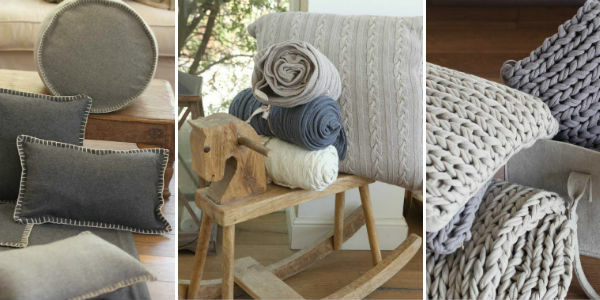 Inspired by modern rustic and Scandi style, the new collection includes pieces in felt, chunky and cable knit. 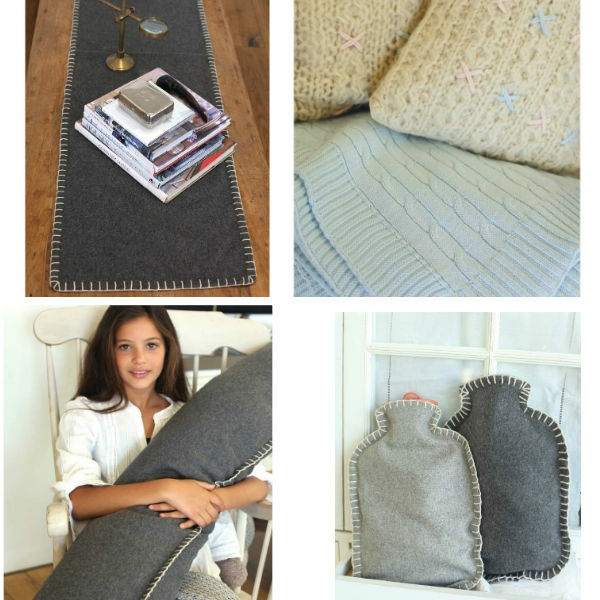 The felt range includes cushions (including an extra long bolster cushion 150cm in length) hot water bottle covers and a stylish table runner. The felt pieces are available in light or charcoal grey and all feature a signature blanket stitch in contrasting cream around the edge. The knitted range includes chunky knit cushions in cream and grey, cable knit cushions in a choice of three colours, and an oversized cushion that measures 60 x 60cm. In addition, there is also a Cable Knit Throw in a soothing shade of light blue that can be used as a stylish bedspread or a snug companion for cosy evenings on the sofa. Mocha has just launched some kitchen accessories that make ideal Christmas gift ideas and stocking fillers for cooks and people who love baking or experimenting in the kitchen. Measuring Cube is a fresh new take on that kitchen essential – the measuring jug. Because you usually need a measuring spoons at the same, the Measuring Cube has a unique feature. Turn it over to discover a hidden measuring spoon with measurement for a tea and tablespoon. The measuring jug is designed to be functional, durable and aesthetically appealing. It has a has a special internal spout that can be poured from each of its four corners and a different measurement indicator on each of its sides. Perfect for trying out all those new recipes, Measuring Cube makes a perfect Christmas present for anyone who enjoys cooking and baking. 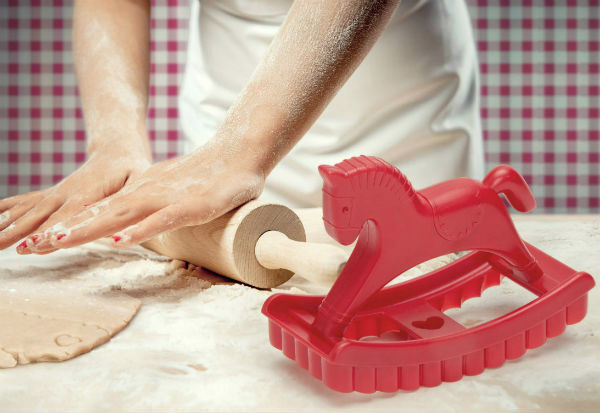 Sweet Pony Cookie Cutter makes it easy to create beautiful homemade biscuits. Designed to look like a classic rocking horse, you simply rock it back and forth on flattened dough. Sweet Pony will cut out classic shaped shaped cookies with a scalloped edge and cute heart imprint in the centre. The cookie cutter is a great way to introduce children to baking and they make fantastic stocking fillers. They are also perfect for making biscuits to give as homemade Christmas gifts. 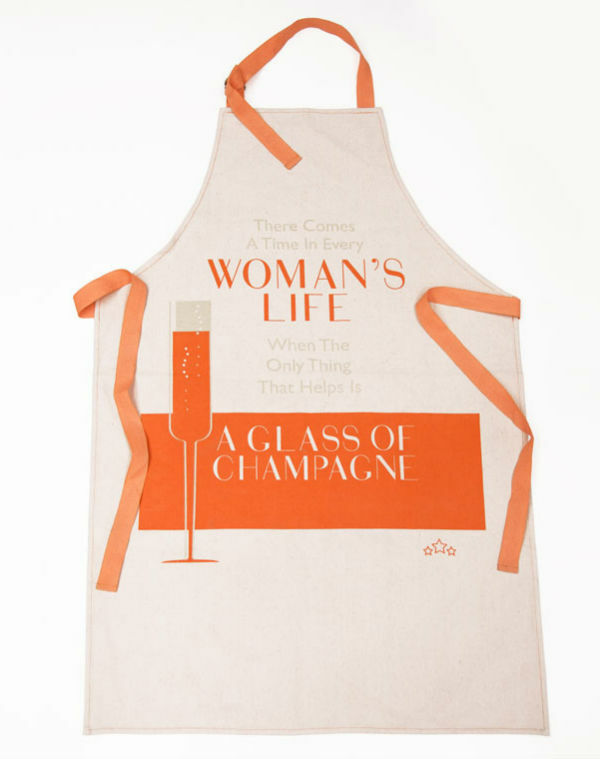 Apron: Glass of Champagne is the perfect gift for her. This humorous apron will keep her looking clean and classy while cooking and baking. Printed in vintage style typography, it features the quirky quotation attributed to Bette Midler: “There comes a time in every woman’s life when the only thing that helps is a glass of champagne” . A stylish Christmas present, Apron: Glass of Champagne will also add a light hearted touch to all that cooking for Christmas.